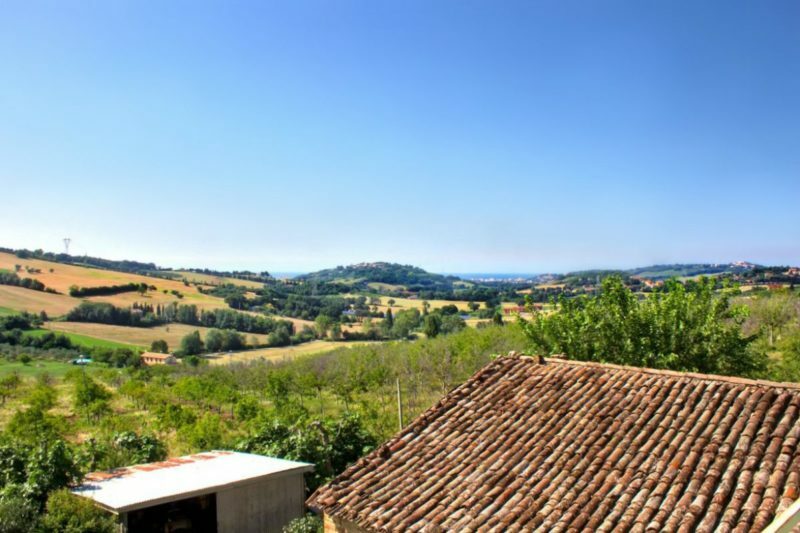 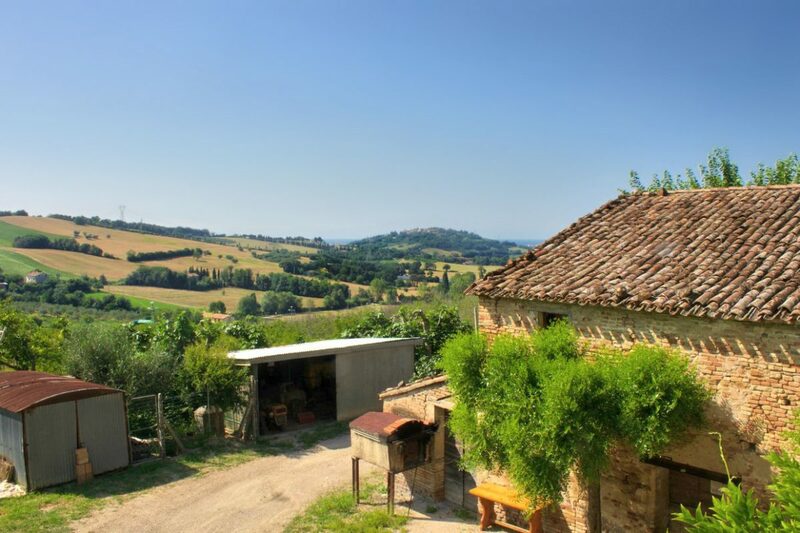 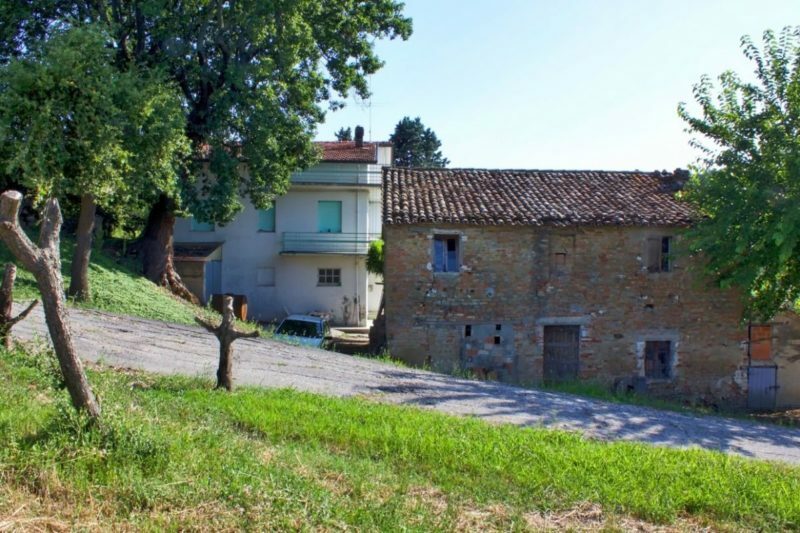 Farmhouse in need of restoration with sea views and land for sale in Gradara, Le Marche. 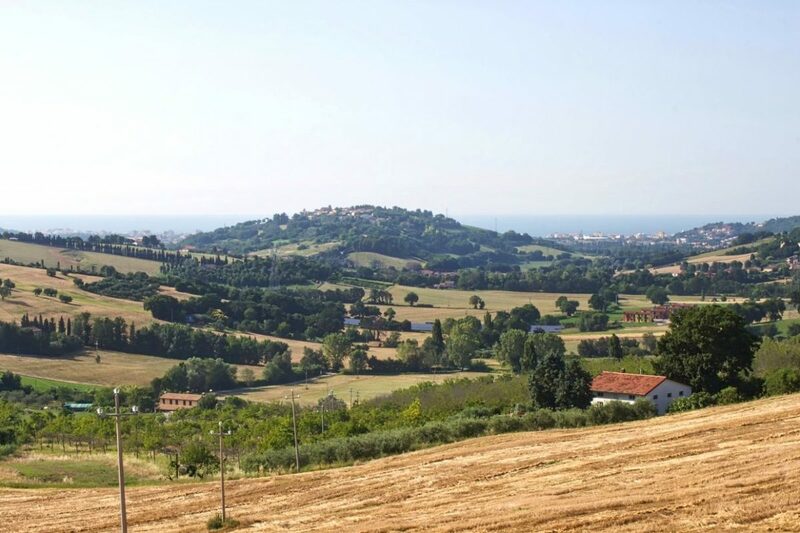 The highway gate of Cattolica is located at 6km, the beaches of Gabicce within 7km as well as the railway station of Cattolica, the Rimini airport is approximately 20km far. 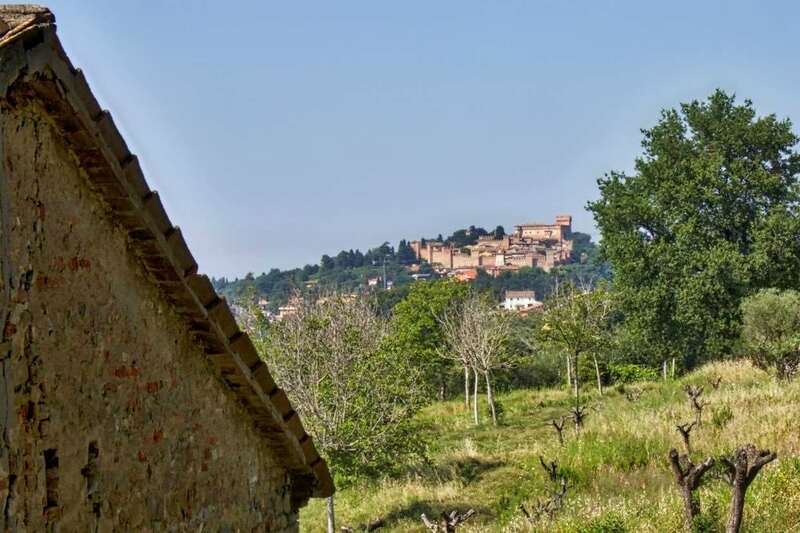 The property is reached via a private road of about 200m in good condition and consists of a stone ruin of ca. 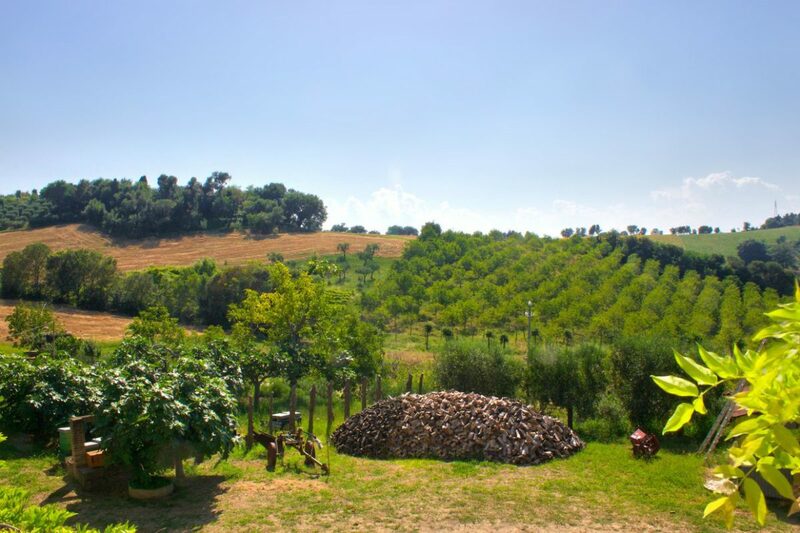 220 sqm, a 360 sqm house and eight hectares of irrigated land planted with olive trees, fruits, nuts, grains, etc..
From every part of the property you can enjoy a wonderful view of the city walls and the castle of Gradara, one of the most important historical monument in Italy, visited annually by over 200,000 people. 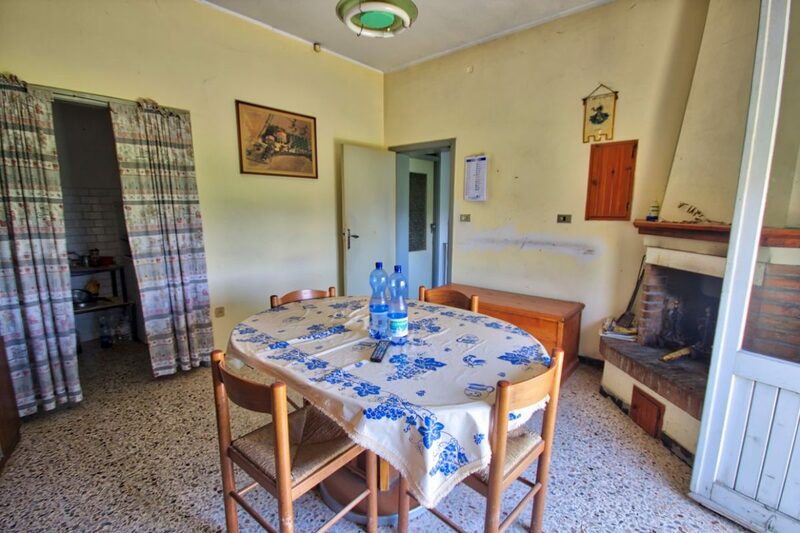 The property is just 3km from the Cattolica beaches. The property lays is on a gentle valley peaceful and noiseless. The land is sufficiently extended to be kept as a small farm business. This property is characterized by peace and privacy while remaining close to the dynamic Adriatic Coast with its beaches and the famous night life and in the immediate proximity of the beautiful town of Gradara with all the services and the remarkable eno-gastronomic offer of the surroundings. The main house measuring 360 sqm. 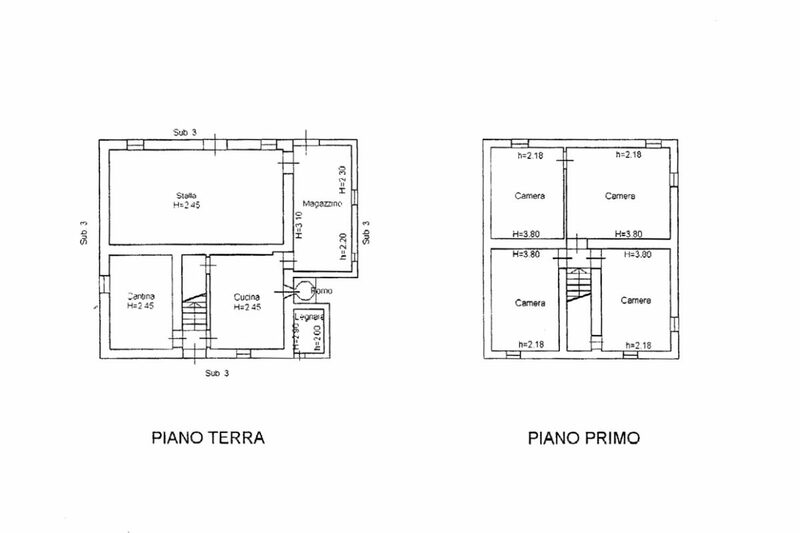 and it is on three levels of 120 sqm each. The ground floor of work spaces, a cellar, a bathroom and a storeroom. 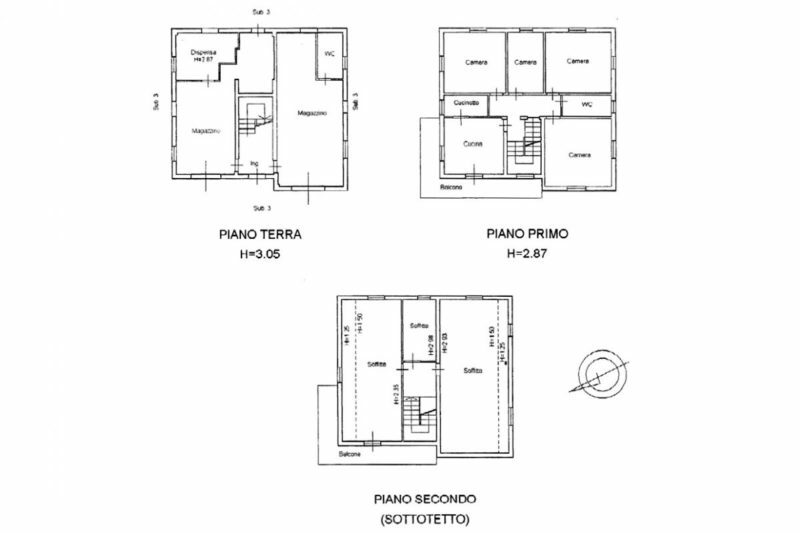 The first floor is dedicated to housing and consists of kitchen with dining area, three double bedrooms, one single, one bathroom. 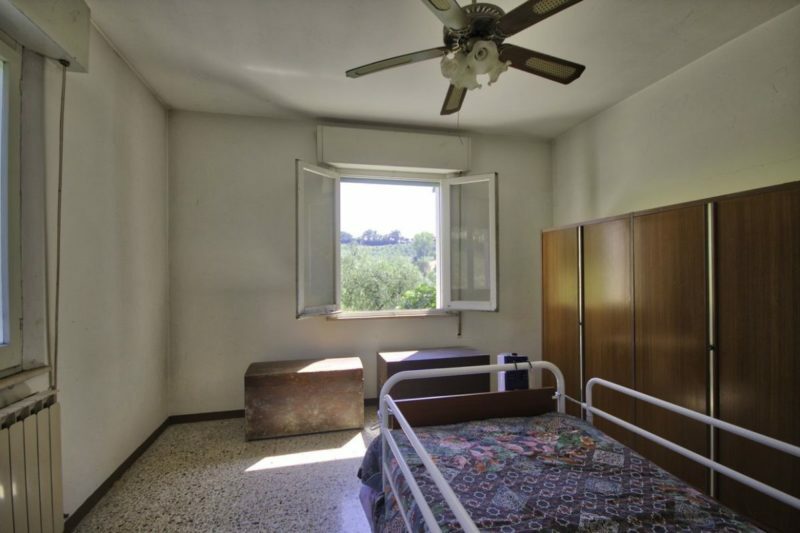 The top floor consists of several spaces in the rough. 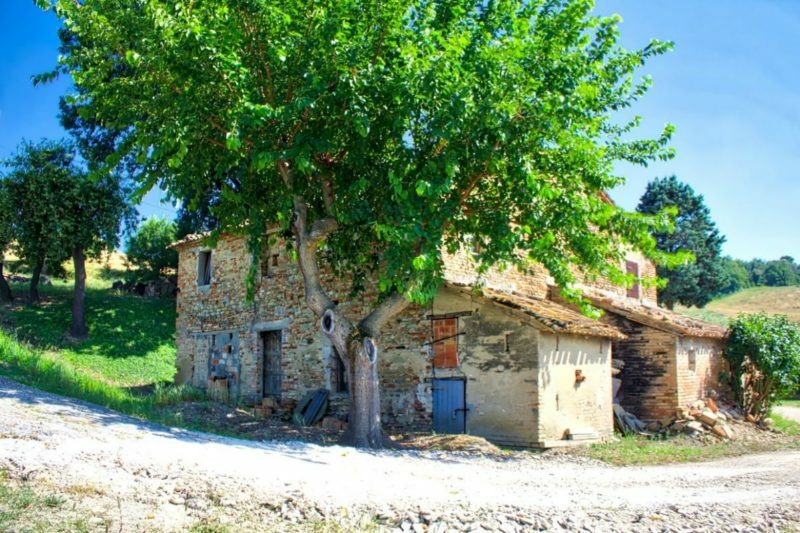 The farmhouse, that is not habitable, consists of two floors with eight environments. 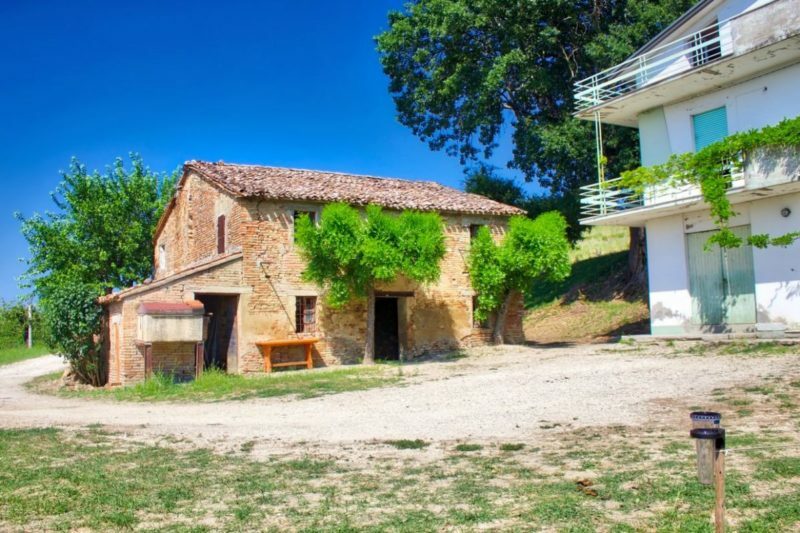 On the ground floor of 130 square meters is the old barn, a warehouse, cellar, kitchen with oven, and the wood, while the first floor of 100 square meters there are four spacious bedrooms. 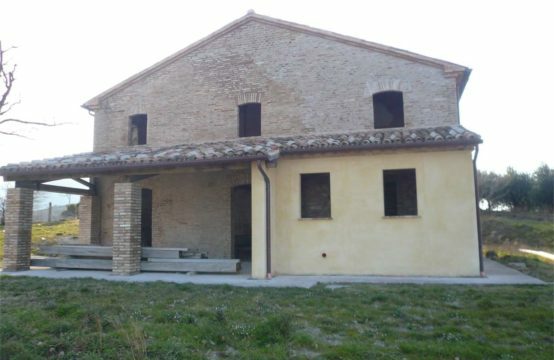 The brick ruins which date back to the early twentieth century, the classic farmer dwelling of those years, it is a structure of great historical charm of which, however, the time has inevitably left its mark not being inhabited from the late 60’s, it is now to be demolished and reconstruct with the same materials with a conservative restoration logic. 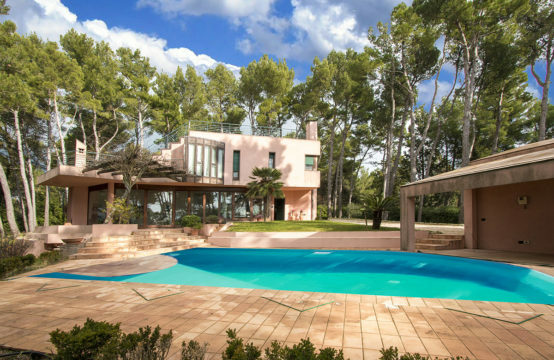 The main house is a building of the 60s, very solid in structure, has finishes of the time, therefore also require major restructuring. 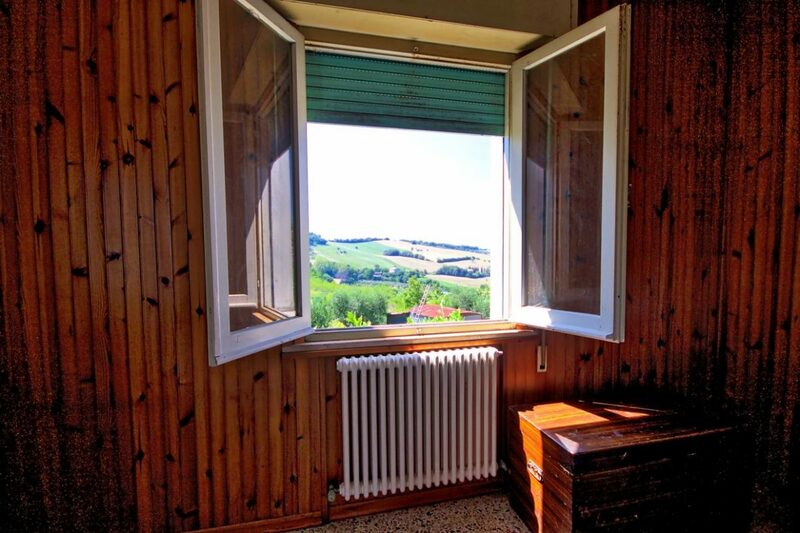 Heating is with fireplace, plumbing and electrical system present, to be updated. 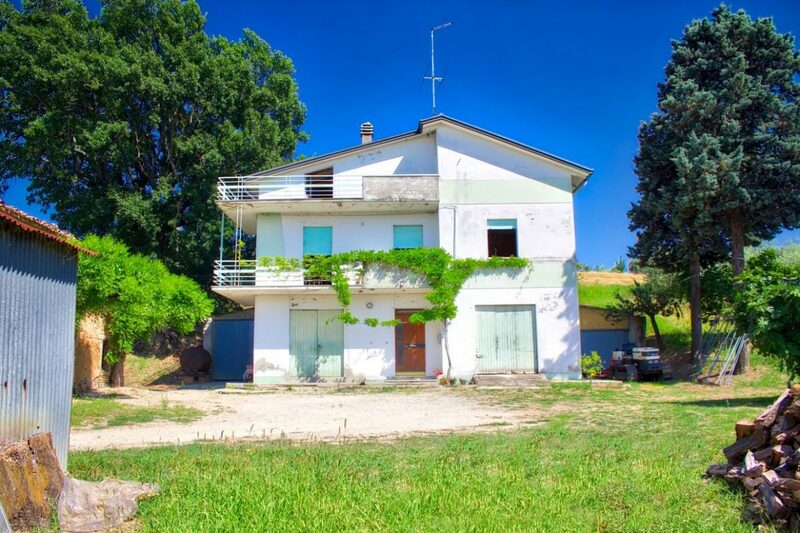 Potential Land Use: The property offers several possibilities, of which the principal could be a farm with manor house in ruin once renovated, and accommodation in the bigger house. 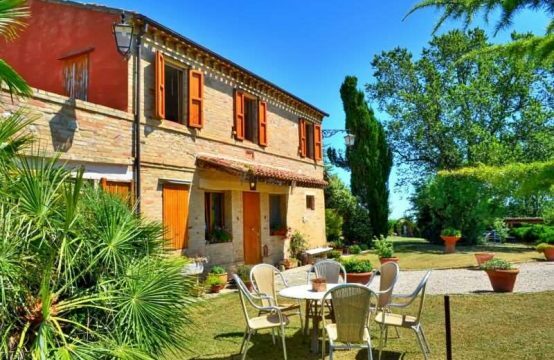 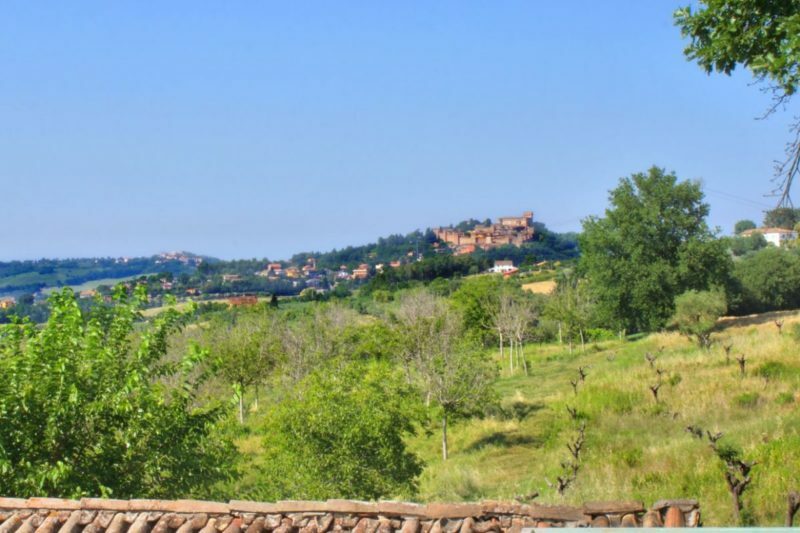 Considering of its excellent location in the heart of a major tourist area of international importance, that of the Fortress of Gradara and the Adriatic coast, the choice of accommodation is the most suitable.